For his second collaboration with Le Métier de Beauté, Ken Downing looked to the runways for inspiration. 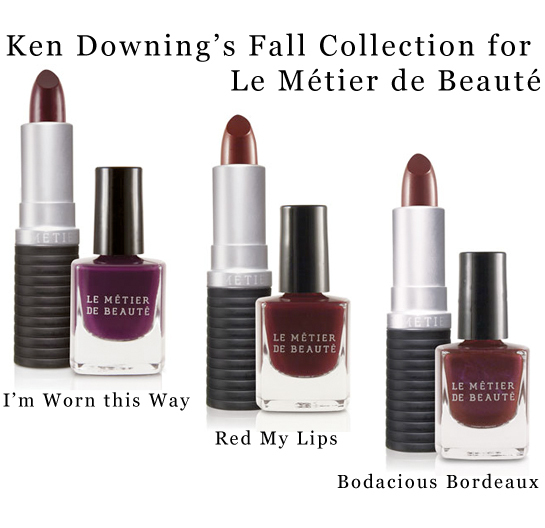 After seeing the abundance of wine colors being shown for fall, he created the Bordeaux Collection with three duos of matching lipstick and nail polish. Bodacious Bordeaux is inspired by rich, crimson cabernets, Red My Lips reflects pinot reds, and I’m Worn this Way comes from deep grape shades. Each duo is $49 and available exclusively at Neiman Marcus.